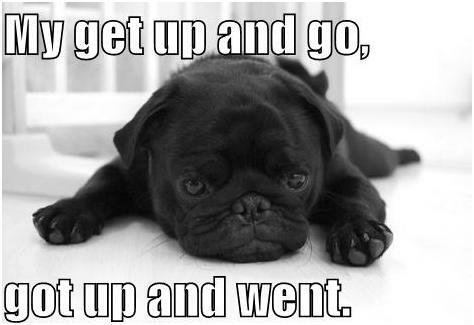 See that puppy.. That is me today. I am over the heat! we are on day 6 of temps over 30 c and day 4 of it being over 35 degrees. My brain turns to mush in the heat. All I want to do is sit in front of a fan and not move! I have managed to put the dishwasher on today. Mainly cos I was out of dishes! I somehow think that will be the extent of my cleaning though. I got up early this morning and I thought I would wake my son up. Why.. So I can convince him to have a nap through the hottest part of the day. And yes now I am rambling so my post today will be short and sweet. What do you like to do when you have no motivation?